AKRON, OH (WOIO) - David Spondike has opted out of the investigative hearing process and instead issued a letter. There will not be hearing a today. His letter serves as his position on the matter. The Firestone High School teacher was under investigation by school officials after posting a Facebook rant with the "n" word in it. 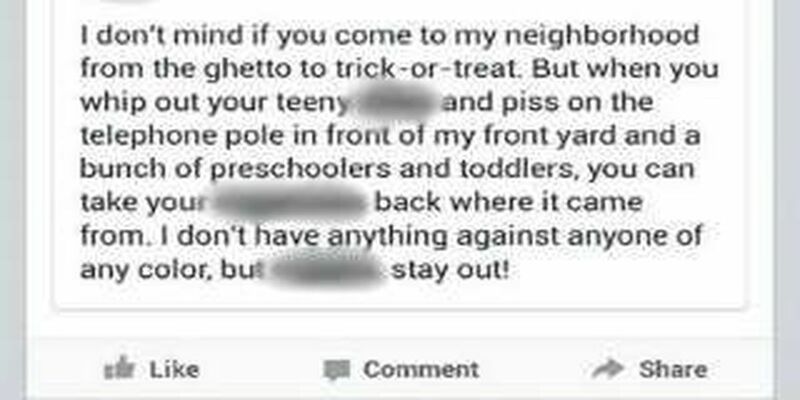 The veteran Akron teacher was apparently upset about disrespectful kids coming from what he calls "the ghetto" to trick or treat. I am in receipt of your letter regarding the Investigatory Hearing originally scheduled for November 14, 2013 and the charges attached thereto. In concurrence with my attorney Patricia Arcaro-Brown and the Akron School District and in lieu of the meeting on November 21, 2013. I am writing a response and statement of the facts as they appear to me and as stated and alleged in your letter to me dated November 8, 2013. My attorney and I thank the district for making this course of action available to us. I take full responsibility for the postings on Facebook which were done in a moment of anger and with unnecessary haste. Follow up postings were done in answer to responses that I received from the first posting. I take full responsibility for the language used and which has resulted in acrimonious comments from citizens in Akron. It is, however, my position that I have the right to use such language in explaining my feelings about the general state of the community in Akron. These remarks were in no way directed at the Akron School District or, to my knowledge, any person involved in the district. In the matter of "conduct unbecoming a professional educator" I also consider this conduct as extremely serious and it should never have happened. In light however of the fact that it did happen I have sought professional counseling for anger management and other matters that may have caused the outburst on Facebook. I regret that the media has become involved in this and have discontinued any further comment to any person, friend, family, radio station, TV station, newspaper or other news media as may be involved. The only person that I have spoken to regarding this matter and since your first letter is my attorney as named above and under the cloak of privilege. I respectfully submit my response and ask the board to consider, with my attorney, an agreement to resolve this matter in a manner satisfactory to both parties. Spondike has been placed on paid administrative leave while the school conducts their investigation. A termination hearing has been scheduled for Dec. 2. From that hearing, there will eventually come a recommendation to the board, and the board will then render a final decision.